If you like foods with Southwestern flair, this just might become a new favorite. 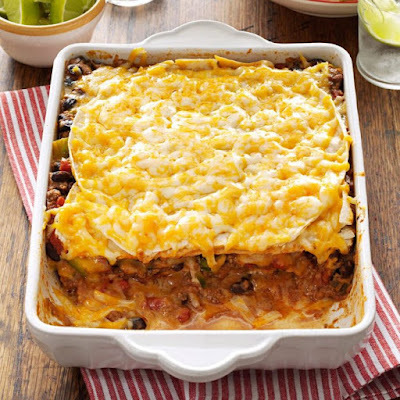 Loaded with cheese, meat and beans, the layered casserole comes together in a snap. There are never any leftovers when I take this dish to potlucks. —Terri Keena, Tuscaloosa, Alabma. Cover and bake at 350° for 25-30 minutes or until heated through and cheese is melted. 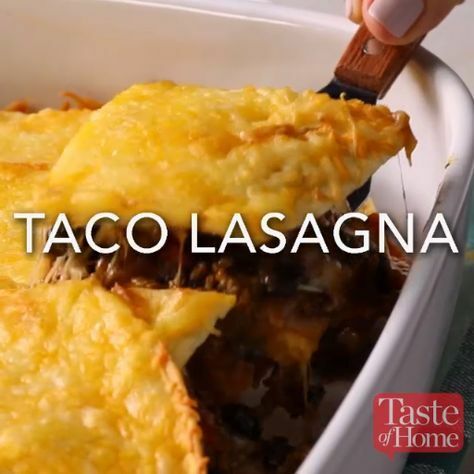 0 Response to "Taco Lasagna"